Protesters in Venezuela supporting the opposition. Wednesday, January 23 marks 61 years since civilians and the military overthrew Venezuelan dictator General Marcos Pérez Jiménez. 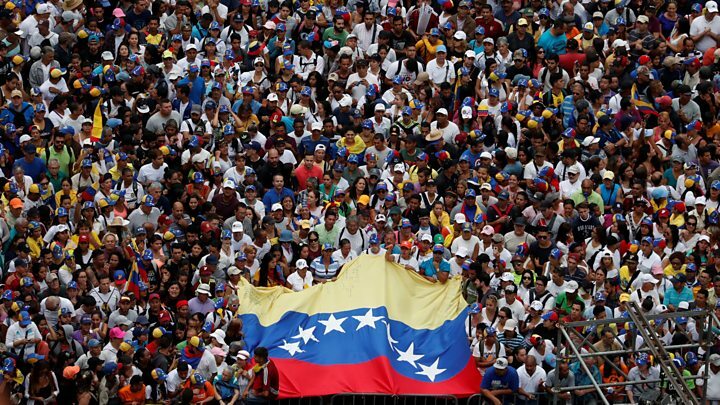 Now, civilians again are taking to the streets to demonstrate their opposition to Nicolas Maduro. The opposing National Assembly accused Maduro of abusing power and called for new elections. This protest is taking place just weeks after Maduro was re-elected for a second six-year term with many of Venezuelan citizens questioning the legitimacy of the election itself. 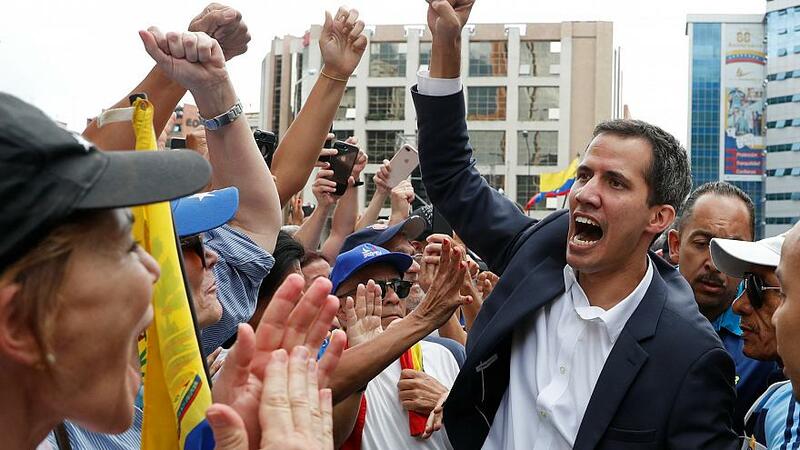 Venezuela’s National Assembly intends to place Juan Guaido, a 35-year-old mechanical engineer and the leader of the assembly, into power. The United States has already offered their support for Guaido. In a video message released Tuesday, Vice President Michael Pence said that Maduro was a “dictator with no legitimate claim to power.” Following the release of the video, Maduro ordered a revision of diplomatic ties between the United States and Venezuela. Juan Guaido, the head of the opposition. After the Trump administration’s show of support to the opposition party, Maduro announced he will end diplomatic relations with the United States and ordered all U.S. diplomats in Venezuela to leave the country within 72 hours. The United States Department said they would not comply, claiming Maduro no longer has authority. Maduro is working hard to keep the military under his control through profitable oil contracts to military-linked corporations, while the United States is urging them to “jump ship” and support the opposition. With 14 dead, and what seems to be a long road ahead, it is difficult to tell whether Maduro will be forced out of power or if the protests will continue along with six more years of the Maduro regime.